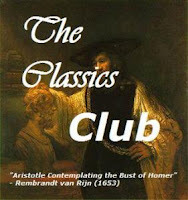 A Literary Odyssey: Gulliver's Travels Read-Along Sign-ups. 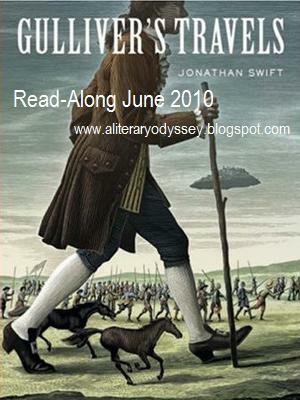 I am happy to announce that in June I will be hosting a Gulliver's Travels read-along, as voted on by my readers! "Thus, gentle Reader, I have given thee a faithful History of my Travels for Sixteen Years, and above Seven Months; wherein I have not been so studious of Ornament as of Truth.' In these words Gulliver represents himself as a reliable reporter of the fantastic adventures he has just set down; but how far can we rely on a narrator whose identity is elusive and whoses inventiveness is self-evident? Gulliver's Travels purports to be a travel book, and describes Gulliver's encounters with the inhabitants of four extraordinary places: Lilliput, Brobdingnag, Laputa, and the country of the Houyhnhnms. A consummately skilful blend of fantasy and realism makes Gulliver's Travels by turns hilarious, frightening, and profound. Swift plays tricks on us, and delivers one of the world's most disturbing satires of the human condition. This new edition includes the changing frontispiece portraits of Gulliver that appeared in successive early editions." If you are interested, you can leave a comment here and I will link you to the post to show that your are participating. I would also appreciate it if you could spread the word on your own blogs so that we can get more participants. I have found that the more participants in a read-along, the more fun it is! June 9: Part 1 "A Voyage to Lilliput"
June 16: Part 2 "A Voyage to Brobdingnag"
June 23: Part 3 "A Voyage to Laputa, Balnibarbi, Luggnagg, Glubbdubdrib, and Japan"
June 30: Part 4 "A Voyage to the Country of the Houyhnhnms"
On each of those days, I will be be making a post about the part I just finished. If you decide that you are also going to write a post that day, comment here and I will link it, so that every participant may go and visit everyone else's posts. If you decide you just want to write one post, you can do so at the end of the month, link it here, and I will add it to my own post so that everyone may see it. Again, leave a comment here saying you are interested and I will add you to the participant list. My mom (she doesn't have a blog, but I'll probably put her post up on my blog). I'm going to give this a try. I have added a post about it to my own blog and linked to your site. I will try to write a post for each section on my blog. I've always wanted to read this. yei, I'm into this one too! What a wonderful birthday I'll have full of great books! I have too much on my reading palette. I will however be closely watching your progress. I recently read this. It's lots of fun. I didn't realize how political it would be. I hope you enjoy it! 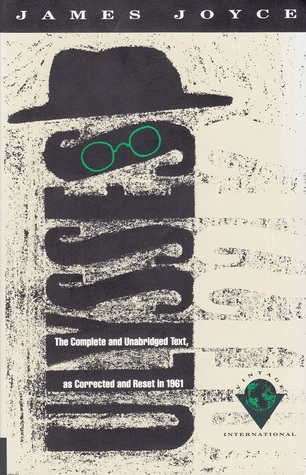 This is one of my favorite books and I haven't read it in a few years, so it seems like a good time for a reread! Sign me up!